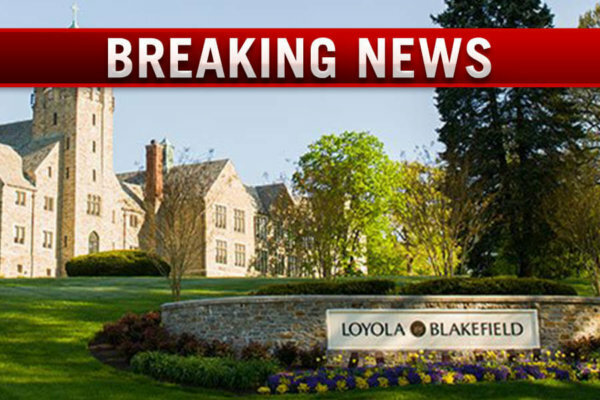 Loyola Blakefield did not open for the school day Dec. 14, in response to the previous day’s discovery of racist graffiti, which included a threat, in a restroom stall. “We are working with the Baltimore County Police Department to investigate this hateful act,” said a media statement from the school. The statement included a message from Anthony Day, president of Loyola Blakefield, which serves boys in grades 6-12. “We are heartbroken and outraged by this attack on the respect and dignity of members of our community, especially our African American members who were targeted by this hateful message. We will discover who did this, and they will no longer be a part of our community,” Day said.